It’s that time of the year again. People are already dusting off the BBQ. Soon we”ll be chilling a few coldies and thinking about entertaining outside. While a BBQ and coldies are vital to doing this, the other must-have is music. You could drag your Mum’s 3-in-1 speakers outside. Then there’s noise control to deal with, but Sony have a better idea. 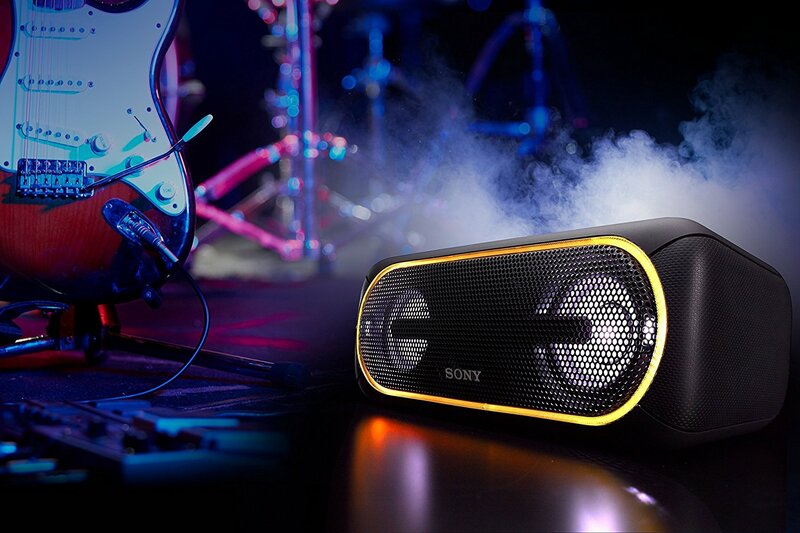 it takes the form of the SRS-XB40 Bluetooth speaker. 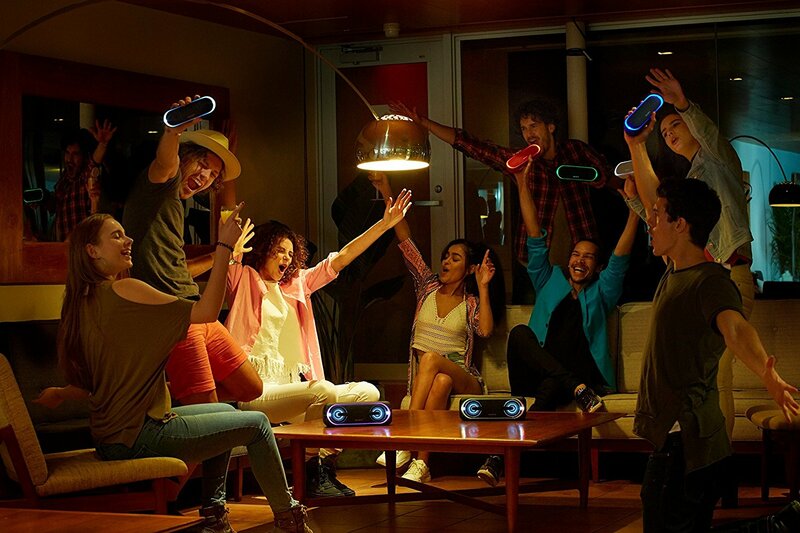 Sony know a thing or two about both Bluetooth and audio, so my expectations were high. They needed to be. A lot of Bluetooth speakers sound like grandma’s old transistor radio. Not the SRS-XB40, which packs some serious ‘oonst’. It not only delivers plenty of bass, but some other extras. These include weather-proofing, a built in LED light show and a stonking 24 hours of battery life. The SRS-XB40 sports a traditional looking oblong bar design. 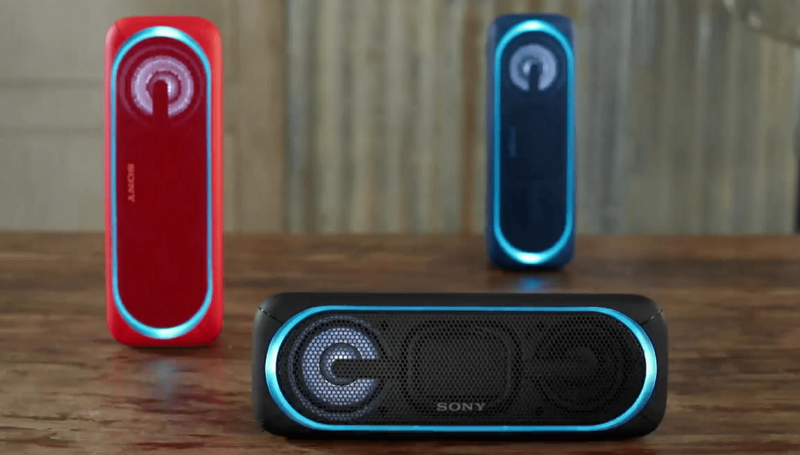 It’ll also pair up with other Sony Bluetooth speakers to deliver stereo audio. It isn’t petite at 279mm wide x 100mm high x 105mm deep, but while it’s big it’s also portable. 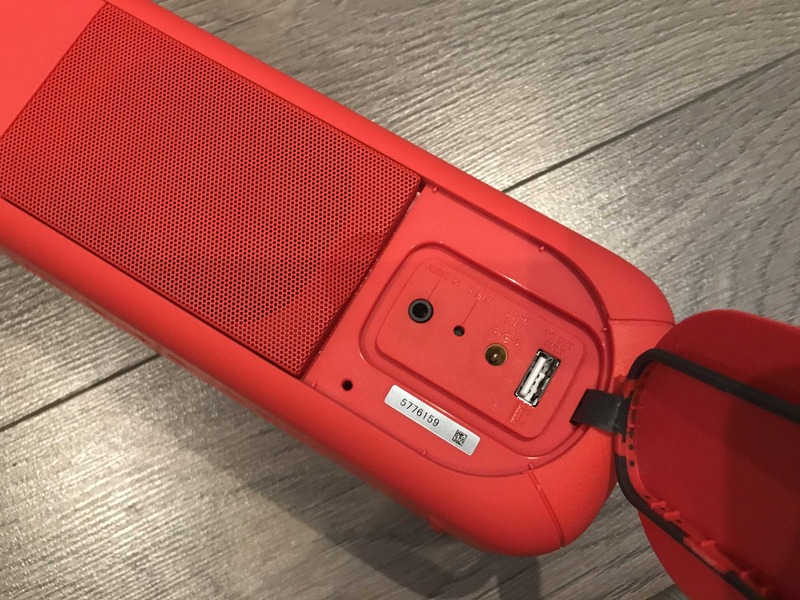 Its controls are on its top, and include power, answering/rejecting calls (yes, it can do speaker phone), playback/volume, plus Bluetooth pairing and an Extra Bass button. Spinning the SRS-XB40 around reveals a bass port and a flap that protects a 3.5mm analogue line-in, a reset button, a power input as well as a USB-A port which can charge phones and other USB-powered widgets. Getting setup needn’t involve mucking about with your phone’s Bluetooth settings, either. Tapping an NFC capable phone against the speaker’s NFC logo makes for near instant Bluetooth pairing. About the only real rizzle involves its charging port. This is because the SRS-XB40 eschews the now standard micro USB/USB C port in favour of a proprietary power brick. Lose this and it’s back to Sony for another one. The SRS-XB40 is IPX5 rated. This doesn’t mean you can take it swimming with you, but if an unforeseen downpour interrupts BBQing, the Sony should keep going. When they decided to stick an Extra Bass sticker on the box, they weren’t mucking around. The SRS-XB40 already delivers solid bass, and when the Extra Bass mode gets fired up, the SRS-XB40 cranks out a surprising amount of low-end rumble. With bass-heavy tracks I did notice that bass could sometimes hijack mids and highs, which I remedied by turning off the Extra Bass function. Battery life is superb, running almost forever (okay, so the blurb says 24 hours) but this depends on whether its light show effect is on or off. There’s a lot to like with the SRS-XB40. Great battery life aside, NFC makes getting set up a complete no-brainer that’s so idiot proof that even I got it right first time with no RTFM (reading the fricken manual). Then there’s its speaker phone smarts and weather proofing. If thumping bass is your thing, you’ll love the Extra Bass function too, even if your neighbours won’t.